Designed as a companion for Darren Atkinson’s Color Computer SD Controller (CoCoSDC), the CocoSDC Extender plugs into the controller and expands the unit with new capabilities. 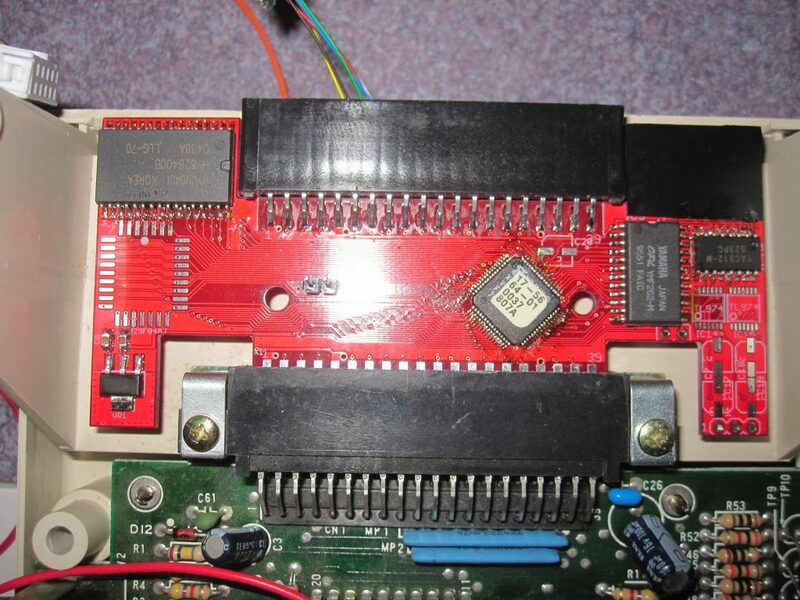 Full functionality of the CoCoSDC is retained, and the owner can simply package the extender and the original CoCoSDC in a single enclosure and utilize the unit without requiring any expansion system requirements such as the TANDY Multi Pak Interface (MPI). 512kB of static RAM, mapped into the main memory space as additional banked RAM. If this extender proves successful, its design will most likely be designed into a subsequent version of the CoCoSDC.